Register for the Citrus Classic Today! 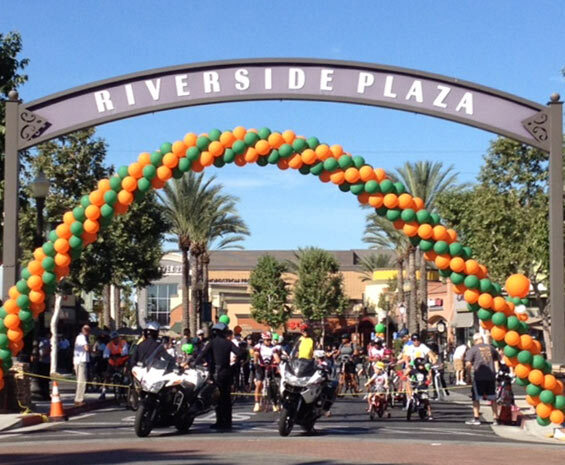 Join us for the next Riverside Citrus Classic! October 12, 2019 - Our 10th Anniversary! Each course option has something for everyone! The Family Fun Ride is a great way to start your cycling adventure. Ready for more miles? Try the 28-mile route. For the more serious cyclist…ride the Half-Century or Century and get your results for the Time Trial & KOM segments! Register by 9/28 to get a Citrus Classic t-shirt! New start times for 50, 28, & 7 mile routes. Also, available in August to pre-order in time for the event! Official 2019 Citrus Classic Jersey. Riverside Educational Enrichment Foundation (REEF) is a 501(c)(3) California nonprofit public benefit corporation formed in 1993 to benefit the over 43,000 students in Riverside Unified School District (RUSD) by funding educational programs. REEF works to bring people and business together to support our students and school district. Our community thrives and is made stronger by making educated, healthy children a priority.